The sign at the door of a Tedford Housing facility in Brunswick. The organization wants to open its third shelter in town, but local officials have had to grapple with zoning language that, they realized, doesn't currently allow for the facilities. BRUNSWICK, Maine — Plans for a homeless shelter in Brunswick have been slowed because of questions about town zoning. Tedford Housing says it wants to build a third homeless shelter in Brunswick to meet the growing needs of the community. However, after the organization announced plans to add shelter capacity, town officials realized local ordinances have no language addressing homeless shelters and — as such, the facilities weren’t allowed, even though Tedford has operated them in town for years. Tedford officials say they have turned away hundreds of people every year due to lack of space in the two shelters they’re already running. 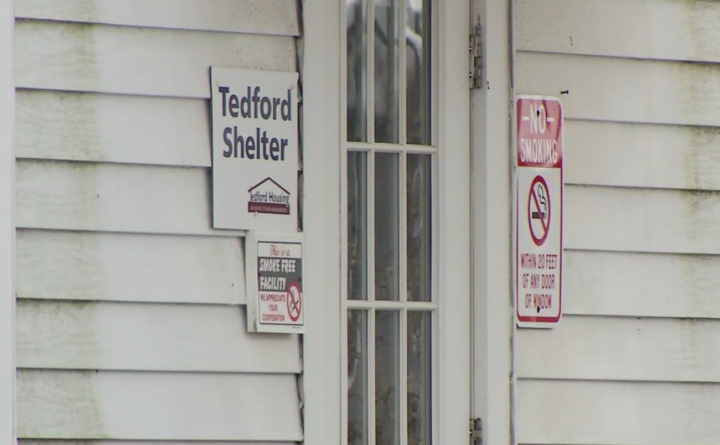 In addition to Brunswick residents, the Tedford Housing shelters take in people from all over Maine. Residents in the neighborhood of the proposed shelter say it’s not a good fit. The Planning Board voted Tuesday to recommend zoning language that clearly defines — and allows — homeless shelters. The board also recommends any shelters be separated by at least 500 feet. Those recommendations for new zoning ordinance language have been forwarded to the Town Council.